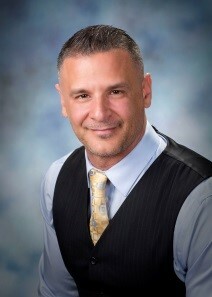 My name is Mark Perez and I am the owner/broker of SoCal Properties. Whether you want to sell your home or are a first time home buyer, please give me a call for a FREE, no obligation consultation. I have helped my clients buy and sell many homes in Southern California covering both Los Angeles and Orange County. I offer professional advice and knowledgeable service and I am always ready to assist you in all your Real Estate needs. I feel that having the right real estate agent means having an agent who is committed to helping you buy or sell your home with the highest level of expertise in your local market. This means also to help you in understanding each step of the buying or selling process. This commitment level has helped me build a remarkable track record of delivering results. I are more than qualified in all phases of selling Single Family Residence’s, Multi Family Residence’s, Condominium’s, etc, as well as Buying New Homes. I will providethe latest, up to date, information you will need to sell or purchase and will assess and satisfy all of your Real Estate needs. Throughout my 17 year career, I have developed an expertise across both the Los Angeles and Orange counties; however, I also do work across those boundaries as well.